on Record Store Day in april to come when I stumbled on this one. What a huge impact it had after such a long time not playing it. 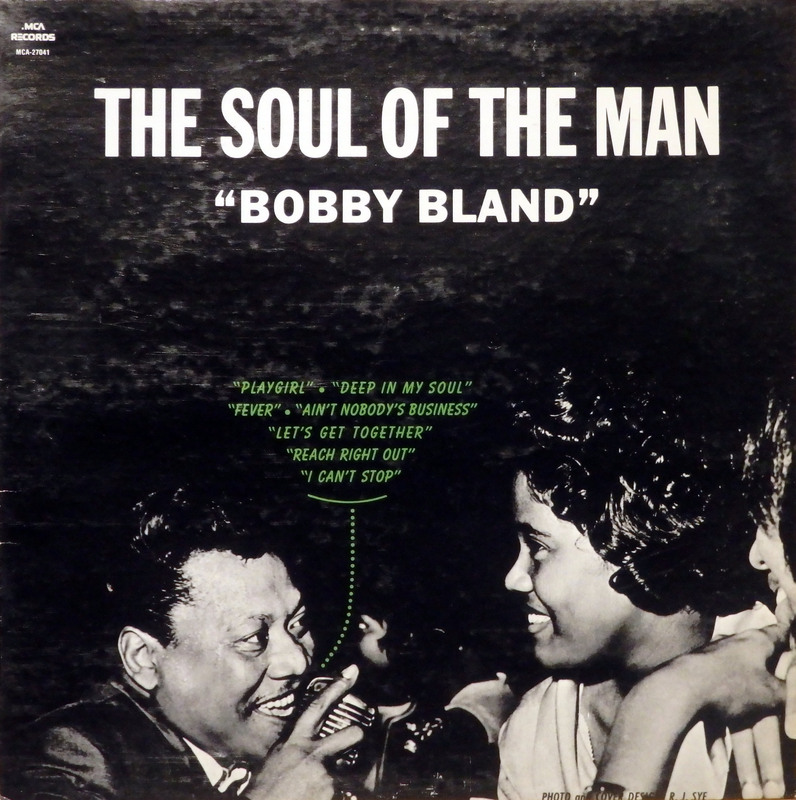 Bobby Bland’s ‘The Soul of The Man’ is a killer without a filler ..
een killer .. Oorspronkelijk uitgebracht in 1966. Thanks for posting this – I used to have a copy but haven’t heard it in years. Like you, I’ve been listening to Bobby Bland a lot for some reason. I think I might have played Two Steps from the Blues more than any other record over the years but not so much recently until I dug out my copy the other week and it’s been on replay since. It’s such a great set. Also been playing Magic Sam’s West Side Soul a lot – there’s something about that mid-sixties soul/blues sound. Bobby Bland was always so under-rated and maybe now is being forgotten. I read an article the other day that said something about “Eric Clapton’s signature tune Further On Up the Road” – it is sort off sickening that this racist black-and-white minstrel is now getting credit for one of Bobby’s biggest hits. I have some other Bobby Bland from the era, but not this one. Thank you so much, it’s excellent. The music and overall vibe feel timeless.